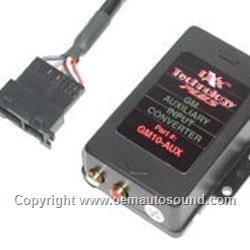 Auxiliary Input Converter converts the CD-changer port of your OLDSMOBILE Saturn OEM factory radio into an auxiliary input. 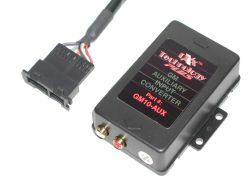 With this converter installed, you can now connect any device that has RCA outputs directly to your factory radio. Vehicle requires GM Factory CD data. 10-Pin data cable in trunk. Vehicle must have factory CD changer cable.